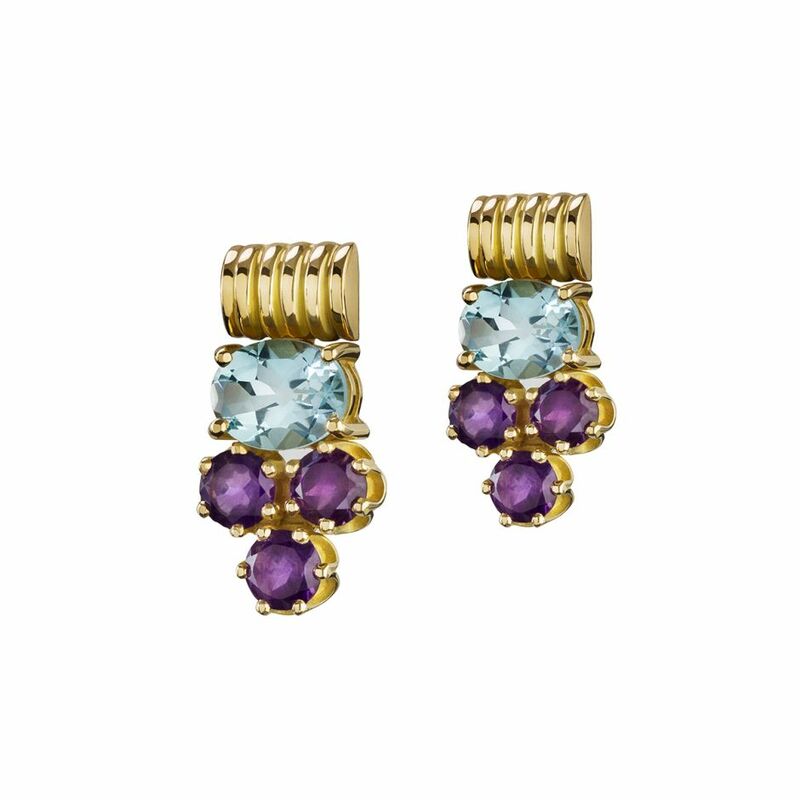 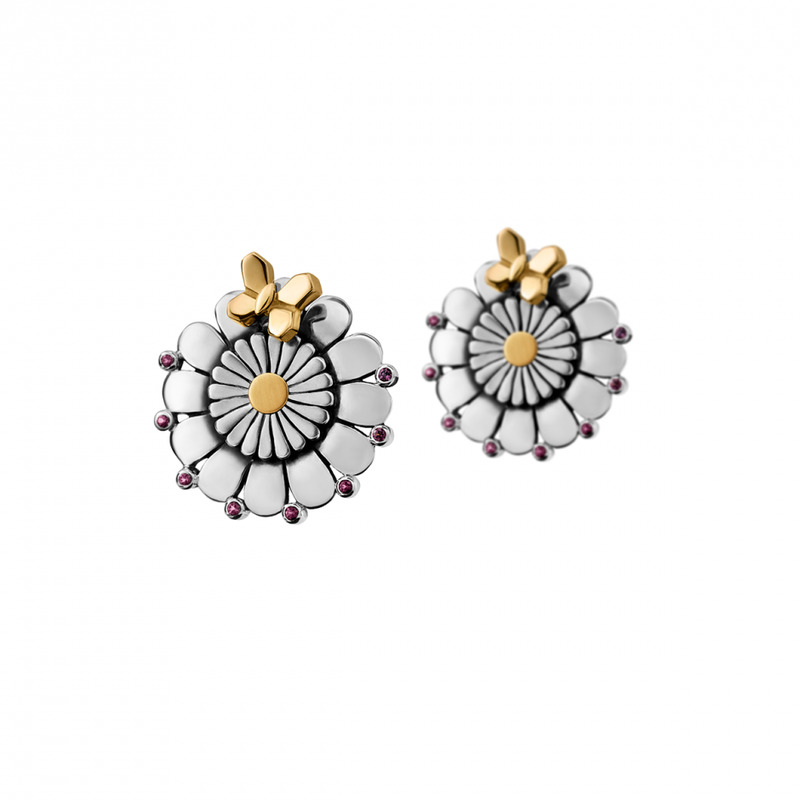 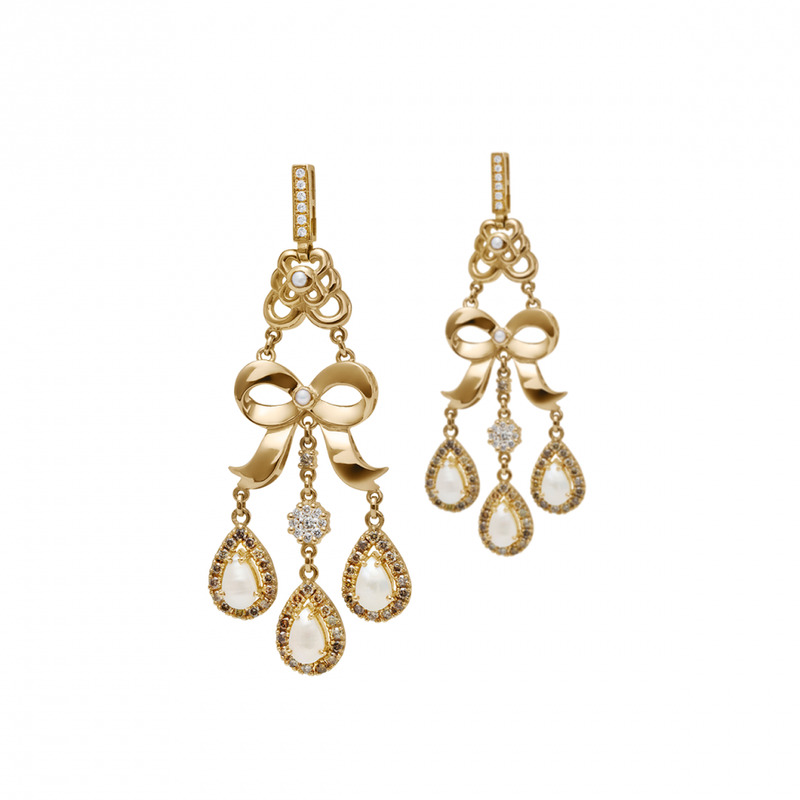 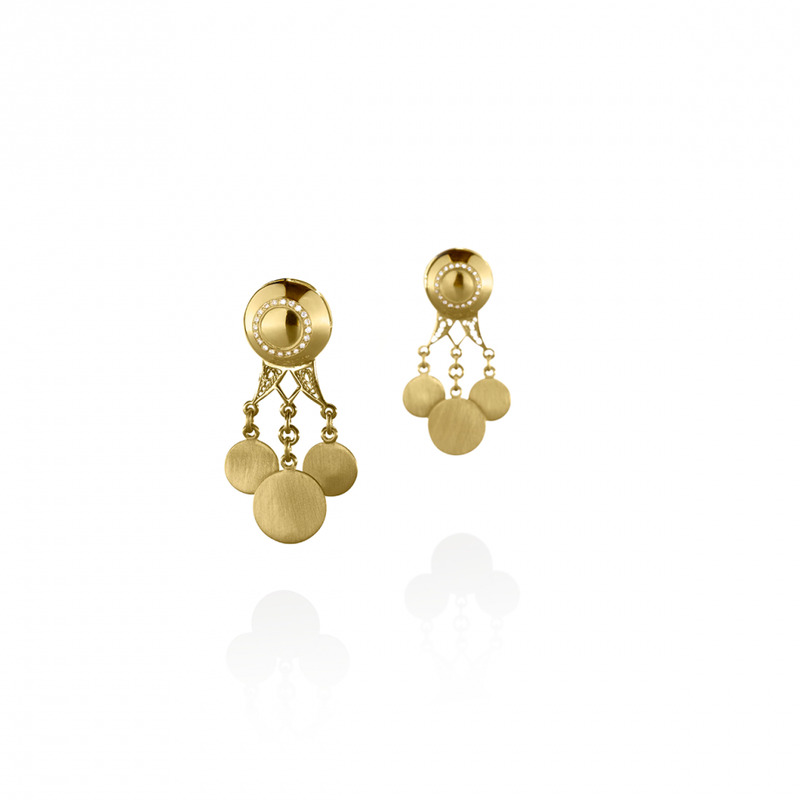 18kt Gold Earrings adorned with precious stones. 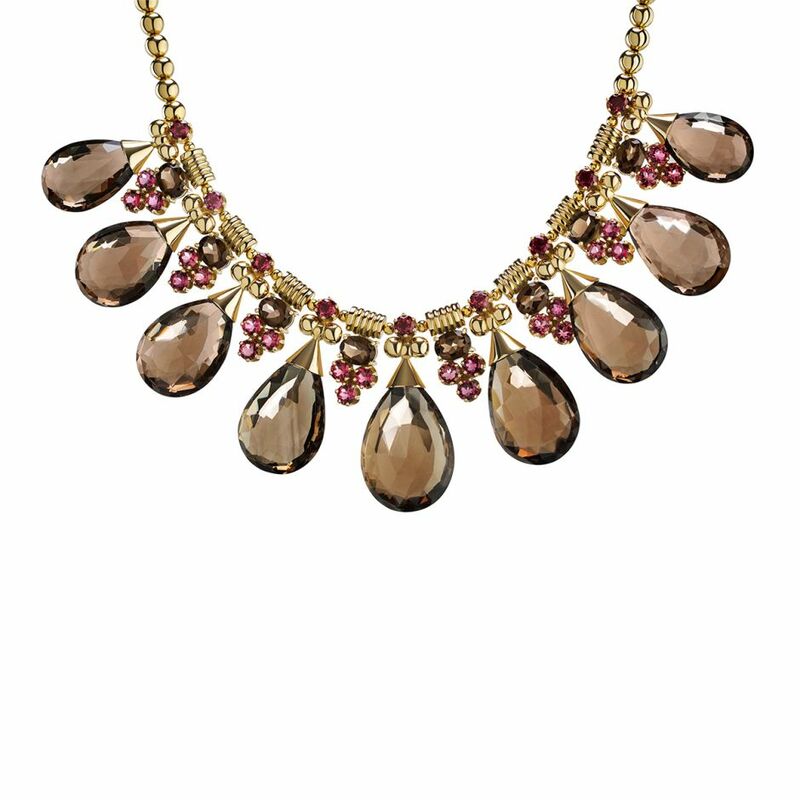 18kt Gold Limited Edition Necklace adorned with drop shaped Smokey Topaz stones. 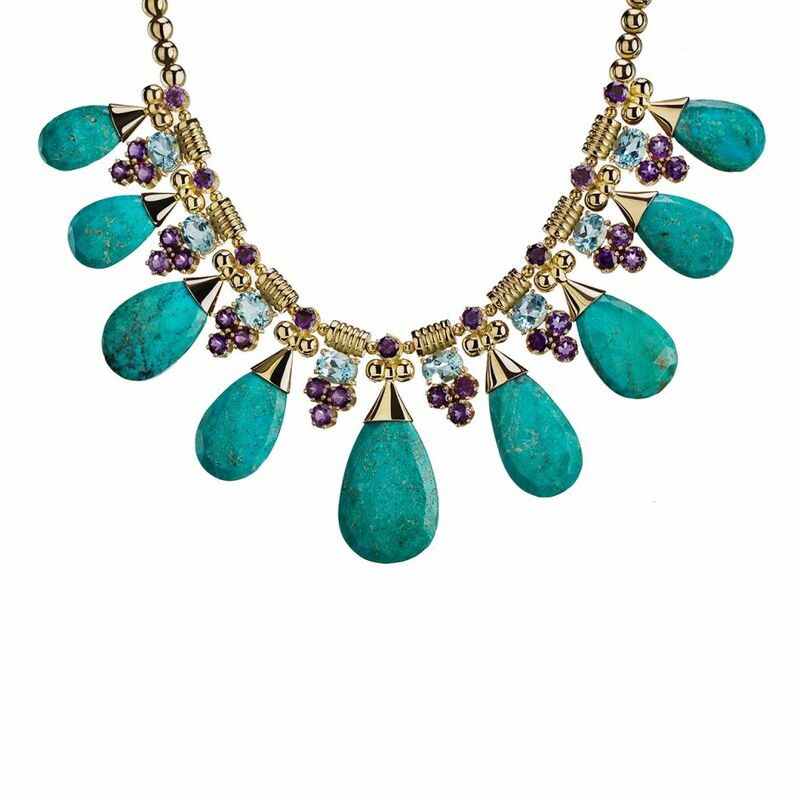 18kt Gold Limited Edition Necklace adorned with drop shaped Turquoise stones. 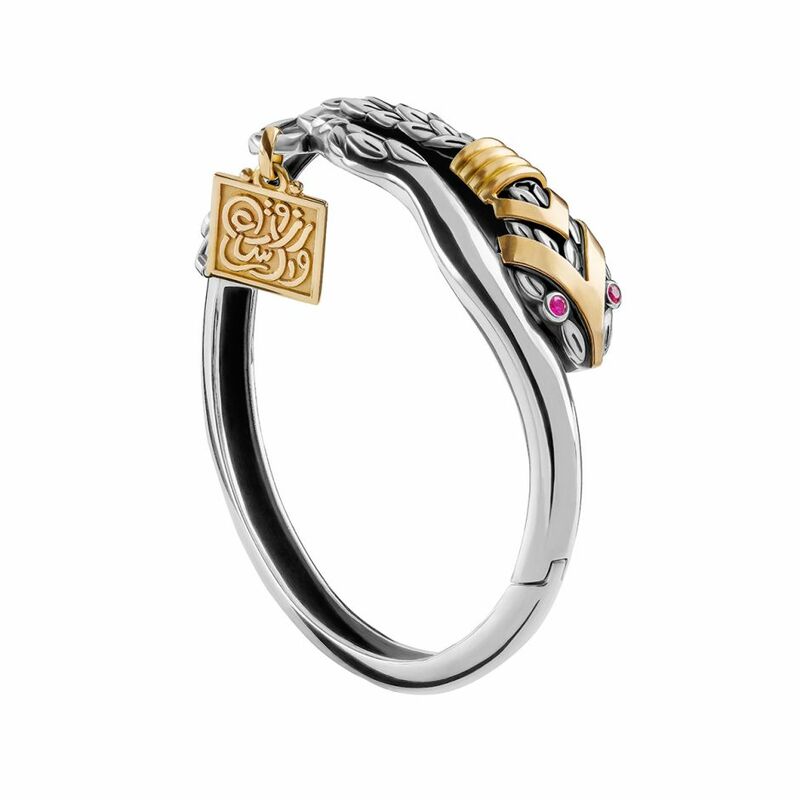 18kt Gold and Sterling Silver snake bangle adorned with 0.13ct Rubies. 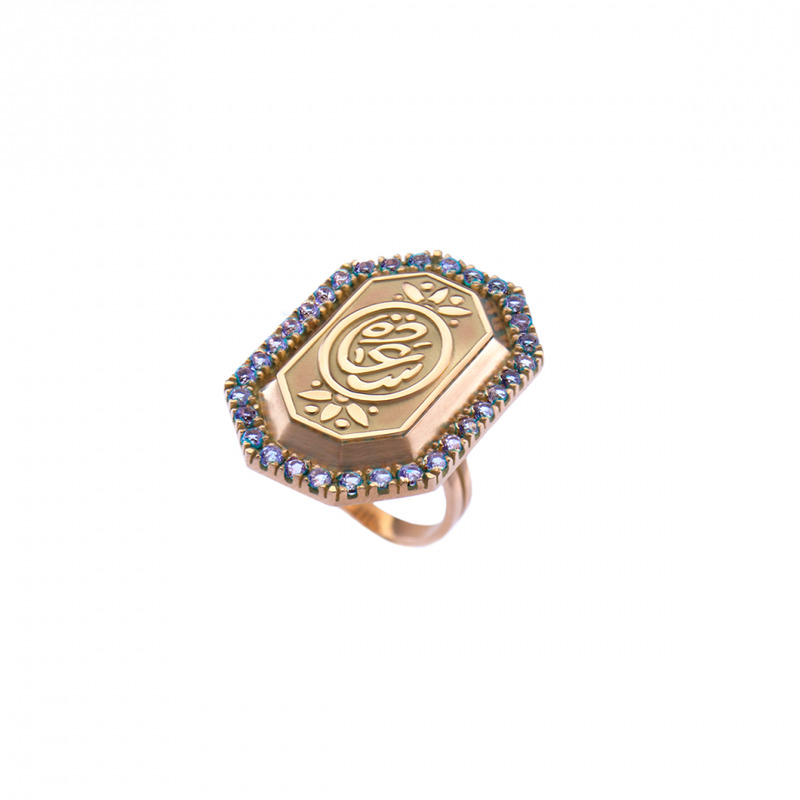 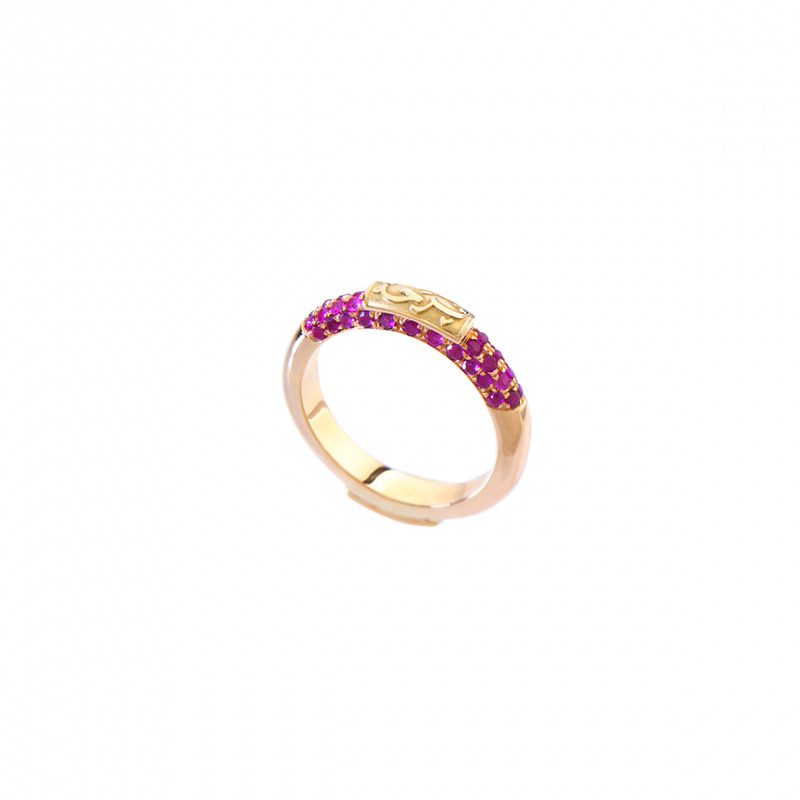 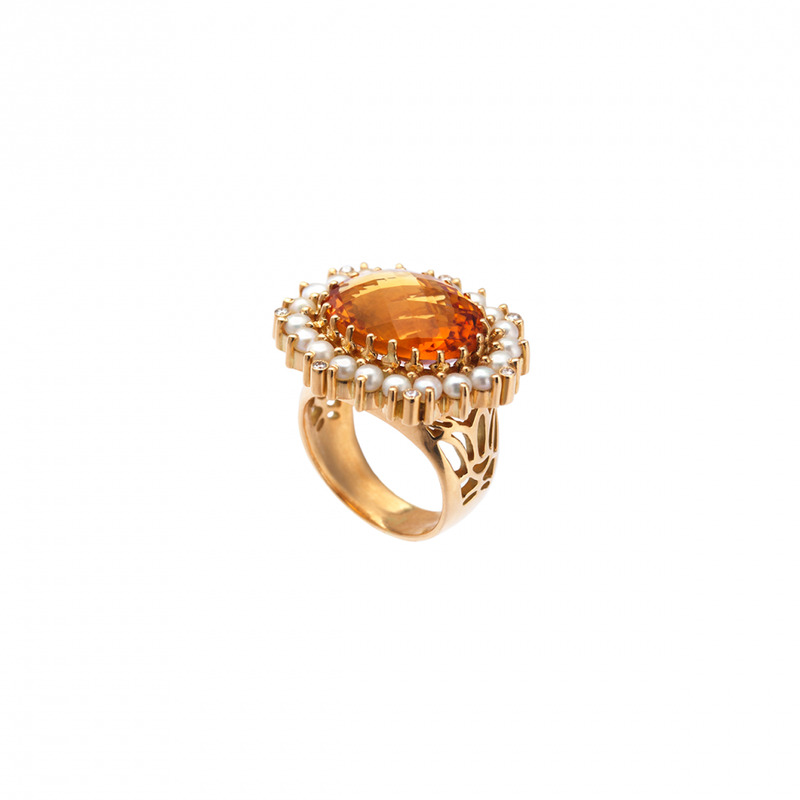 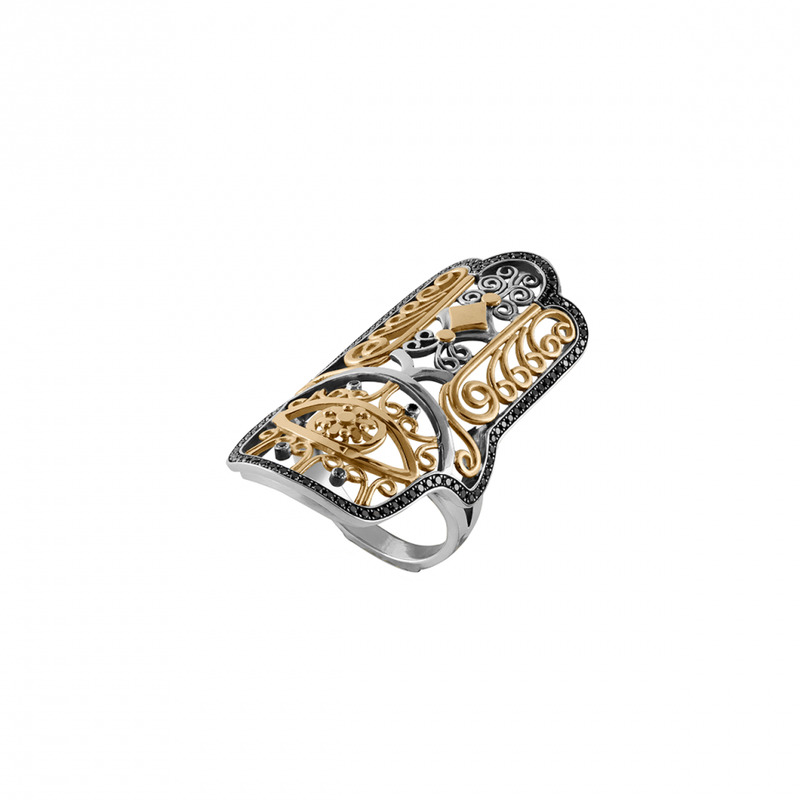 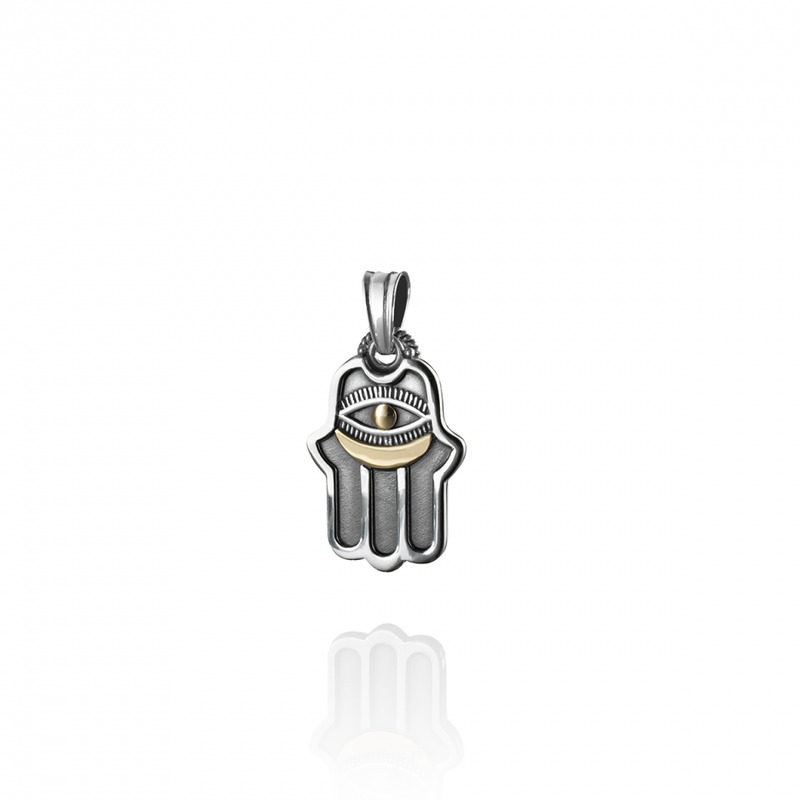 Geometric 18 kt gold ring is adorned with precious stones and inscribed with the word ‘Happiness’. 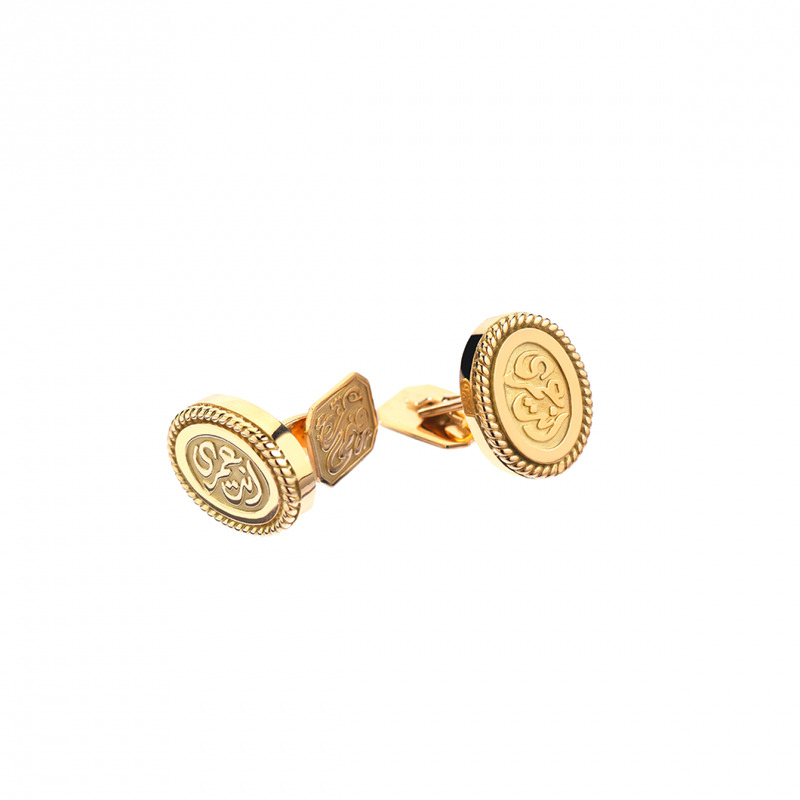 18kt gold oval cuff links inscribed an iconic love verse by Umm Kulthum. 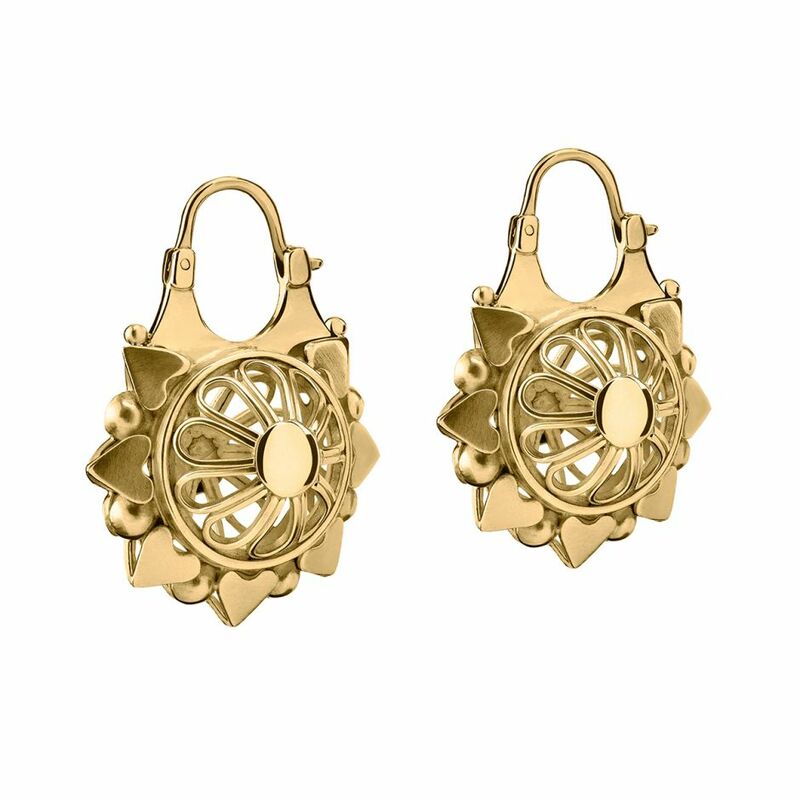 A tribute to traditional Egyptian heritage, comes this 18kt gold masterpiece; a revival of the Egyptian “Kirdan” Collar earrings in its femininity coin draping, bejeweled with 0.1 carats of pave set diamonds.